The downtown Phoenix and Latino arts movements are vibrant with the art installations and projects on Roosevelt Row, Calle 16 and Grand Avenue; the movements are not only alive in arts, but cuisine as well. Chef Silvana Salcido Esparza’s Barrio Café concept is a perfect representation of the culture in Phoenix. Esparza&apos;s colorful restaurant brings authentic southern Mexico flavors to Phoenix and is located in the heart of the Calle 16 mural project. In this video that Visit Phoenix helped to produce, Esparza shares the story of Barrio Café, her central Phoenix eatery. Strong passenger traffic last year has made Phoenix Sky Harbor International Airport move up in airport rankings, from 10th place in 2013 to 9th place now, surpassing Las Vegas. The ranking is based on passenger boardings. Sky Harbor saw boardings jump 3.9 percent in 2014, to 20.26 million. Work has begun at Phoenix Sky Harbor Airport’s Terminal 3 to create a world-class traveling experience for airport visitors. The phased Terminal Modernization Program will create a consolidated security checkpoint, additional ticket counters, new baggage carousels, an expanded curb for pick-up and drop off and new shops and restaurants. The first phase of the program is already underway, and by summer of 2016, travelers will enjoy a larger security checkpoint to help them get to their gates faster in addition to modernized, expanded airline ticket counter space to make check-in more convenient. Travelers should also be aware of some upcoming airline moves due to the Terminal 3 Modernization program. .
A new survey by Meetings Means Business Coalition shows the tremendous value on in-person meetings, conferences and events. According to the survey, 98 percent of federal employees say in-person meetings are important for advancing their agency’s mission. Ninety-two percent say that engaging with colleagues, peers, partners and vendors face-to-face improves their ability to work effectively. Government meetings and travel provide positive value to taxpayers by increasing efficiency and productivity. Meetings enable successful information sharing, employee training and development, taxpayer services as well as collaboration with other agencies and private-sector partners. Conventions and conferences are critical education platforms, developing advanced skills and enabling workforce training. The Fling & Swing Experience at JW Marriott Phoenix Resort & Spa starts and ends with everything you need. Play all day in the cool pools and famous Lazy River. Kids eat free and more! From $169 a night, the entire family wins with this package! Kids 12 and under eat free, Internet is free and a round of golf (certain time restrictions apply) is also free! And best of all - a daily $50 resort credit and no resort fee charge. This package is available through September 7, 2015 and the promotional code is ZJ5. Surf’s up this summer at The Westin Kierland Resort & Spa’s exclusive five-day Surf Camp for kids ages 8 to 12 and who are at least 52 inches tall. Each day, the Surf Camp features a variety of activities such as surf stretches, a bodyboard lesson and ride time, surf pool games, surf crafts, movies and games, a flowboard lesson and ride time and even Flowga (Flowboard Yoga). During craft time, kids will paint ceramic surfboards, bamboo plants and tiki masks, make surf bracelets and anklets, and tie dye beach t-shirts that they can take home. Plus, each surfer is provided with a custom Kierland FlowRider rashguard and a carved Maori surf necklace. After a week of learning all the tips and tricks to bodyboard and flowboard on the Kierland FlowRider, the camp concludes with a special surf show for parents to watch the junior surfers perform. Surf camp will be offered for nine weeks throughout the summer starting on June 1. The five-day Surf Camp is $450 per week per child and includes lunch daily. The Pointe Hilton Tapatio Cliffs Stay and Play package goes through summer, with the best rates of the year starting at $158 a night from May 18 to September 19, 2015. This astounding package includes a one-night stay, breakfast for two and one round of golf at the scenic Lookout Mountain Golf Club. Radisson Phoenix Hotel North debuts new look. With a fresh new appeal to incoming travelers, the Radisson Phoenix Hotel North unveils its beautiful transformation of modern designs and amenities. The 284-room hotel features a chic and vibrant look, executed by Greenwood & Black, with shades of blue and yellow and red accents throughout the property. Walking through the lobby, hotel patrons are surrounded by bold regional artwork, new flooring, stunning wallpaper and an enhanced lounge seating area. Guest rooms feature fully renovated bathrooms, fresh carpets and mattresses for a more comfortable and relaxing stay. Radisson Phoenix North also offers a new 24-hour fitness center, resurfaced pool, whirlpool tub, a gorgeous lounge deck and a 14,000 square foot meeting space. 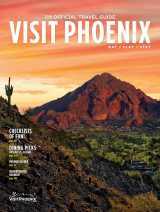 This summer, there&apos;s plenty of fun for the whole family at the Fairmont Scottsdale Princess. Their specialSummer Stay & Play package includes a luxurious Fairmont room and waived daily resort fee giving you access to all the Princess&apos; most sought-after amenities. Summer stays from Memorial Day to Labor Day include dive-in movies, fireworks, techno water slides, the Arizona summer sun, and much more! Refer to Summer at the Princess for full schedule of events and list of activities. The package includes one night of luxurious room accommodations in a Fairmont Room and the Daily Resort Fee waived. The following amenities come with a daily waived Resort Fee: Unlimited basic Internet access in guest rooms and resort public areas, any local and domestic long distance calls from your guest room, complimentary self-parking for one vehicle per room, complimentary admission to Trailblazers Kid’s Club for up to three children (lunch fee additional), access to 24-hour Fairmont Fitness Center, onsite shuttle transportation service (guest rooms, restaurants, spa, pool and meeting space), 50 percent discount off Well & Being Spa daily access fee, including complimentary fitness and wellness classes, waterfall treatment pool, sauna, rooftop pool and more, and complimentary court time on one of five tennis courts; one hour per day per room. Rates start at $179 and the package is available from May 25 to September 3, 2015. Beginning June 2015, guests can enjoy The Boulder’s summer rates from just $99/night for a private casita and $349 for a Villa (a savings of over 70 percent off the regular winter/spring rates.) Great savings on spa, golf and packages make summer an ideal time for a peaceful and elevated adult getaway at The Boulders, far removed from the family vacation crowds below. Other summer amenities include complimentary iced treats and lemon-scented chilled towels offered poolside, and refreshing citrus and soothing aloe-infused treatments at the world-class Waldorf Astoria Spa. The Boulder’s is also offering the Truly Boulder’s Package, which includes nightly accommodations in a private Casita, complimentary valet or self-parking, a $25 daily resort credit for breakfast, 20 percent off Spa Services and unlimited access to the Spa facility and fitness classes, and the resort fee, service personnel gratuities, transportation throughout the resort, in-room high speed internet, and daily newspaper. The Truly Boulders summer package begins at $159 per night and will be offered May 26 through September 2015. Guests can also enjoy the Stay and Play unlimited golf at The Boulders. The package includes: private luxury casita accommodations, one round of golf per paying adult with same day replay on either the North or South course, 20 percent off Spa Services and unlimited access to the Spa facility and unlimited fitness classes. The cost of the “Two by Fore” package starts at $189 a night (based on double occupancy) and will be offered May 26 through September 10, 2015. There is a two-night minimum stay. The Scottsdale Resort & Conference Center, A Destination Hotel is embarking on a $9 million multi-phase renovation on July 1 along with a name change and rebranding of the property. In September, the property will be unveiled as The Scottsdale Resort at McCormick Ranch, A Destination Hotel, and will introduce locals and guests to a new restaurant and bar, transformed pool area, additional outdoor meeting and event space, and enhanced guest rooms. The property originally opened on Sept. 4, 1976 and was designed by legendary architect Bennie Gonzales who designed significant Scottsdale buildings including Scottsdale City Hall, Scottsdale Center for the Performing Arts and Civic Center Library. The renovation will update the look of the resort and introduce new amenities, while staying true to the rich history and design. We-Ko-Pa Resort & Conference Center was recognized as a “Best Phoenix/Scottsdale Stay & Play” by Colorado AvidGolfer’s readers in their recent 2015 CAGGY Awards. An enterprise of the Fort McDowell Yavapai Nation, the property was rebranded last October as an independent golf resort to strengthen its synergistic relationship with nearby We-Ko-Pa Golf Club. Honored as one of the best golf facilities in the country by Golfweek and others, the golf club features two award-winning 18-hole courses designed by Bill Coore and Ben Crenshaw (Saguaro) and Scott Miller (Cholla). Online voting for the 2015 CAGGY Awards was held between August and December 2014. Participants were required to vote for a minimum of 20 categories acknowledging top golf facilities in the state as well as nationwide, resulting in more than 60,880 votes. Heard Museum brings back Native + You, or NU, starting April 3. Every first Friday of the month, Heard Museum brings a fun and enriching cultural experience for the whole family to enjoy. Discover the southwestern cultural vibe in Central Phoenix with food and drinks from the Café and Cantina, as well as free evening museum admission. With more than 40,000 fine artworks and cultural artifacts in its permanent collection, 12 long-term and changing exhibit galleries, an education center, an award-winning Shop, the Books & More boutique bookstore, Coffee Cantina and Courtyard Café, the Heard Museum is a place of learning, discovery and unforgettable experiences. On April 24, 2010, the Musical Instrument Museum opened its doors to the world as the first and largest global musical instrument museum. For the past five years, they have been engaging audiences with an extensive collection, dynamic programs, and exceptional musical performances. Come celebrate this milestone with a week of festivities featuring some of their favorite performers and activities. Admission is included with paid museum admission. The celebration will be Saturday, April 25 and Sunday April 26 from 9 a.m. to 5 p.m. with activities such as a photo booth, henna body art, face painting, sparkling wine tasting, a tribute band, crafts, and multiple performances throughout both days. Enjoy classic movies under the stars on the Center Lawn each Friday at 7:30 p.m. at Biltmore Fashion Parkthrough April 24th! On April 3 the park will play Eat, Pray, Love; April 10 Field of Dreams; April 17 Forrest Gump and April 24 Bad News Bears. Movies will be shown in their original format, weather permitting. Join the Queen Creek Olive Mill every weekend from April 11-May 10 for events on the weekends during their annual Blossom Festival. Featuring art show, grill at the mill, grand opening of our new outdoor bar the "Pit", Mother&apos;s Day brunch, live music, complimentary wine tastings, vendor tastings, tours, and more. Admission is free and food and beverages are available upon purchase. The 37th Annual Scottsdale Culinary Festival returns to the valley April 7-12. The Festival has grown to a community favorite hosting over 35,000 guests, 20 events, 100 restaurants, dozens of top chefs and countless fine wine and spirit selections. The six day festival offers a diverse menu of luxurious dinners, themed cocktail parties and the signature Great Arizona Picnic event, featuring 50 restaurants, chef demonstrations, live bands and specialty tasting venues. The festival is the primary fundraiser for the Scottsdale League for the Arts, whose members and staff works all year to present the festival. The League’s mission is to support artists, art programs, and arts education through fundraising and special events. Since 2002, the League has donated over $4 million to arts organizations in Arizona. Chipotle is bringing Cultivate: Food, Ideas and Music Festival on April 18th to WestWorld Scottsdale this year. The event is a one-day, free food, ideas and music festival that will bring together chefs, musicians, farmers and the public. The music lineup includes Twenty One Pilots, Magic Man, MS MR, Jared & The Mill and more. Local and regional vendors such as Four Peaks, Cartel Coffee, Phoenix Ale Brewery, Sweet Republic and True Food Kitchen and others will be part of the tasting and artisan halls; top chefs from all over the nation including Scottsdale’s own, Charleen Badman of FnB Restaurant will be one of the featured chefs. In celebration of the 30th anniversary of Arizona&apos;s original and only American Viticulture Area, Kief-Joshua Vineyards will be hosting the Fourth Annual Southeast Arizona Wine Growers Festival April 18 and 19, featuring 21 Arizona Wineries at Kief-Joshua Vineyards. The day will be filled with new wine releases, fabulous winemakers, great wine, food vendors, a professional chili two-day cook-off and live music. The non-profit Chili Appreciation Society International will host a professional two-day Chili cook-off, and cooks for as far as Texas will be here competing for a spot in the national challenge. Guests can taste the chili and join in the People&apos;s Choice. Childsplay and local artist Zarco Guerrero present El Puente, Childsplay&apos;s third Theatre Festival and Mask Procession! Taking place at Tempe Center for the Arts (TCA) on Sunday, April 26 from 2 p.m. to 6:30 p.m., this unique celebration for families features an afternoon of food, music and art. Free admission to the festival includes mask-making, fun drama activities for kids, dynamic performances by local artists and other craft activities. The first 400 people in attendance will receive free admission to the 4 p.m. performance of Childsplay&apos;s The Three Javelinas. To conclude the festival, the community can join a masked procession of kids, families, performers and The Three Javelinas on the beautiful pedestrian bridge crossing Tempe Town Lake. The procession will start around 6:00 p.m. The historic DeSoto Building located at Roosevelt and Central Avenue has undergone a renovation to becomeDeSoto Central Market and will be opening Saturday, April 11th. DeSoto manager, Shawn Connelly, has turned the 90-year-old building into a food and socialization concept, as there will be a market bringing in local and fresh produce and a diverse mix of bars, eateries and restaurants. The venue will also serve as a place for events and meetings. DeSoto Central Market will have a celebration opening weekend on both Saturday and Sunday with live music, pop-up vendors, chef demonstrations, specials and cocktail tastings. A redevelopment 22,500-square-foot project named the Colony will bring the best of the local to Seventh Street near Missouri Avenue in downtown Phoenix. The Herb Box, Stock & Stable and Pure Sushi are a few of the restaurants that will be housed in the new development. It will be directly adjacent to Sam Fox’s the Yard and is slated to open in November. Owners of Phoenix breakfast spot, Vovomeena and dinner spot Tuck Shop have opened Mornin’ Moonshine, a new coffee shop in the 111 West Monroe Tower. The shop specializes in their Japanese cold-brewing method, creating infused flavors like lemon/jalapeno, vanilla pod/cocoa nib, green tea/mint, orange peel/ginger and more. The coffee shop will be open Monday through Friday from 7 a.m. to 2 p.m.
La Piazza PHX debuts their new weekday happy hour, new rotating lunch specials, and most noticeably to passersby: a new outdoor patio along the award-winning restaurant&apos;s 1st Street entrance this month. La Piazza PHX&apos;s Chef and Owner Justin Piazza’s new weekday happy hour offerings include new food and drink specials designed to keep locals and visitors alike lingering in good spirits with $7 classic margherita pizzas, $2 off all wine and cocktails (including Negronis on tap! ), as well as $1 off all bottled beers. The new happy hour menu is available now, every Monday to Thursday from 5:00 p.m. to 7:00 p.m.
A new gourmet Belgian fry food truck has rolled into town. Frites Street will be serving up hand-peeled Belgian fries topped with homemade sauces, proteins and produce. This gourmet Belgian fries food truck will also have vegan and gluten-free options on the menu. Highlighted entrees include Duck Confit Poutine, Carne Asada Frites, and Vegan Black Bean Soyrizo Chili Cheese Frites. Owners Braden Jones and Philip Isard have worked with some of Phoenix’s best restaurants, like The Gladly and Fox Restaurant Concepts. The truck advertises it’s stops through the truck’s Facebook page. Crudo’s ongoing Blank Space Dinner Series is a can’t miss, wildly-creative and no-holds-barred culinary throwdown. For $75+ per person, guests will receive only the time, date, and name of the celebrity guest chef, while everything from the gourmet multi-course meal to the handcrafted cocktail or wine pairings will be left to Crudo chef Cullen Campbell and his talented co-chefs discretion. The next event in the series with chef Josh Herbert from POSH Restaurant on April 13. On May 4 will be Gio Osso of Virtu and Kevin Binkley of Binkley’s, Café Bink and Bink’s Midtown will close out the series on June 1. Radisson Phoenix Hotel North debuts new look and remodeled restaurant Brixton Pub featuring an array of unique offerings for breakfast, lunch and dinner. Guests can enjoy classic pub comfort food with a European flair or have a refreshing drink at the 24-seater bar. The restaurant also features an outdoor patio ideal for private functions dining al fresco. A new Fox Restaurant Concepts’ Flower Child will be opening a 3,572-square-foot space at 90th Street and Shea Boulevard this May. The restaurant will create 60 new jobs. FRC debuted Flower Child last year in Phoenix at 44th Street and Camelback Road. The restaurant focuses on bringing healthy food and ingredients to the table with their fresh salads, wraps and vegetable and grain plates. The restaurant serves in a fast-casual style. Entice your taste buds with a flashback of old menu favorites presented in a new and delicious way. The newest culinary sensation, The Second Story concludes its first season of delicious and creative cuisine with an epic season finale featuring the crème de la crème from Season 1.The Second Story is offering its guests an opportunity to savor some of these dishes for a smoking 50 percent off with their Chef’s Tasting three course at $50 per person, four course at $61 per person and five course for $75 per person. Enjoy from a mouthwatering list of menu items that have become client favorites throughout the episodes. More than 18 different menus have been created over the past 12 months, including happy hour menus, episodes 1-6, private events menus and themed menus such as The Kentucky Derby, Valentine’s Day, and New Year’s Eve. The Second Story also offers a unique and fun menu designed around ballpark food. Choose from the ever-popular lobster corn dog, short rib quesadilla, and of course, classic sliders. Enjoy these items and many more during The Second Story’s happy hour. Don’t forget the drinks. The Second Story will again feature seven of Bar Man John Christie&apos;s cocktails for $7 and a daily select red or white wine, including 25 percent off bottles of wine all day Sundays. Happy hour will run from 4 to 6 p.m. Wednesday through Saturday and all day on Sundays. Chef John Culver recently took the reins at Blasted Barley Beer Company, downtown Tempe’s newest and fastest-growing craft brewery. The new menu offers Blasted Barley beer fans and foodies alike a taste of Carver’s generous talents, which he perfected over the years at some of the region and nation’s premier eateries. Among the restaurants helping Culver hone his craft were Café Bink and Morning Glory at the Farm at South Mountain. Blasted Barley’s newest house brews have also influenced the new menu. The Strawberry Bottle Rocket, a cream ale, with its light sweet flavor pairs as well with breakfast as the bottomless mimosas. From classic plates like the Blasted Breakfast ($8) featuring two eggs, bacon, potatoes and a warm biscuit to slightly more unconventional options like The Resurrection ($9) an apple fritter cooked french toast style, sandwiching in two eggs and gruyere cheese and covered in bacon maple syrup, bringing you back from the brink of hangover destruction. Culver and Blasted Barley’s new brunch menu offers something for appetites of all sizes, and is even specially designed to help produce serotonin, the chemical responsible for aiding mood stabilization. To be among the first to get a taste of Culver’s culinary talents and Blasted Barley’s new brunch menu, stop in from 10am to 2pm every Saturday, and Sunday. Get the best spa deals in town from April 13 to 19 at Hotel Valley Ho’s new Everyday Mojo weeklong celebration. Monday through Sunday, they will be offering their top massages and facials at discounted rates of $60 for 60 minutes and $90 for 90 minutes (regulary $125/$185). Enjoy a 60–minute Classic Pedicure for $50 (regularly $65) or our 90-minute Hi/Lo Deluxe Nail Service for $75 (regularly $100). Through the month of April JW Marriott Camelback Inn will have their Farm to Treatment Table Experiencewhere the resort’s Master Gardener will host a garden talk on Saturday mornings to share the benefits of incorporating plants and herbs with therapeutic treatments for improved health and well-being. Following their choice of a 60-minute organic facial or massage, spa goers will be treated to a spa-inspired organic cocktail tasting in Sprouts Wellness Restaurant and Juice Bar (90 minutes, $175). From April to May 31, 2015, The Spa at Talking Stick Resort is offering up to 25 percent off select spa treatments. Enjoy the Luxury of Lavender Massage ($129, regularly $160), the Complexion Essential ($119, regularly $165), the Brilliant Body Polish ($109, regularly $150), the Spring Time 20 (Manicure $39, Pedicure $49) . For a limited time in April, The Spa is also offering 45 percent off on 60-minute treatments, such as the Rescue Me Essential Massage, Radiant + Rescue and the Skin Care SOS, all for $79 valid April 13 to April 23. Veev-A La Spa Package at Sheraton Wild Horse Pass Resort & Spa’s Aji Spa gives you the choice of a relaxing full body 50-minute Swedish massage or a 50-minute skin brightening Facial, your choice of a 25-minute mini-manicure, or a 25-minute relaxing foot treatment or a 25-minute eye treatment with ‘wow brow’ lift, a complimentary Veev-A La Spa cocktail, a refreshingly vibrant cocktail featuring Veev Acai spirit, freshly squeezed lemonade and a splash of club soda and all day access to the spa’s amenities including the private swimming pool, fitness center, steam room and sauna. The package is available Monday through Thursday, inclusive of gratuities until April 30. Phoenix has been named a top 10 city for Sports Travel according to a new analysis from Hotels.com andSeatGeek that ranks Phoenix as the sixth best city for sports travel. The study ranked cities across the country based on sports popularity (number of tickets sold), average ticket price, destination popularity and average hotel price paid. The Arizona Diamondbacks will host two Los D-backs Fiesta de la Familia events, presented by Fry’s Food Stores, for fans on April 12 and 26 at Chase Field. Los D-backs Fiesta de la Familia is free and will provide fans with the opportunity to enjoy multicultural pregame entertainment. Los D-backs Fiesta de la Familia will begin at 11:00 a.m. on April 12 and 26 along the Gila River Casinos Plaza and will consist of a street festival atmosphere, including food trucks, live music and local entertainment provided by the D-backs, Fry’s Food Stores, Little Debbie and WingStop. Chase Field now has their new dining experience open to the public, which includes local vendors Lo-Lo’s Chicken & Waffles, America’s Taco Shop, Paradise Valley Burger Co. and Zoyo Neighborhood Yogurt. Other new food options at Chase Field include “The Draft Room,” a new craft beer destination in the ballpark, and Food Truck Alley, where food trucks will rotate each series to provide even more dining options at home games. Renovations for an enhanced shopping experience have also been completed at Chase Field. Now baseball fans will be able to shop on the Main Concourse, Suite Level, Upper Concourse and eight new walk-in concepts throughout the ballpark. Some of the new stores include Nike, a candy store, and the completely re-imagined flagship store which added more than 600 square feet of space. Fans are going to be blown away on opening day next week on Monday, April 6. Pure Adventures in partnership with Arizona Outback Adventures is helping travelers have amazing experiences on bikes in the Western United States with both Supported Self Directed Tours and Self Guided Tours. Over the last 20 years they have developed a unique self-guided concept in Europe with the freedom to choose how people explore destinations like Spain, Italy, France and the United States. Experience Phoenix as a cycling destination.